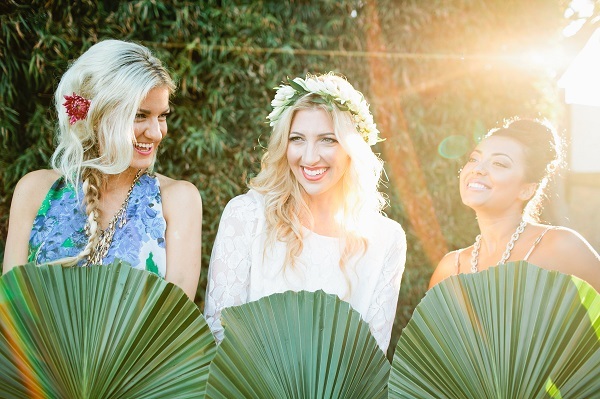 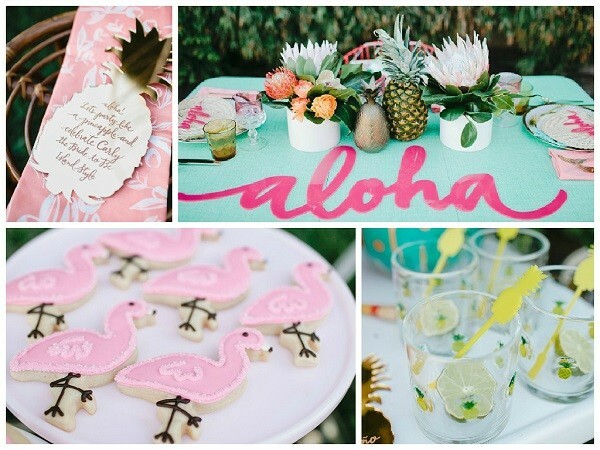 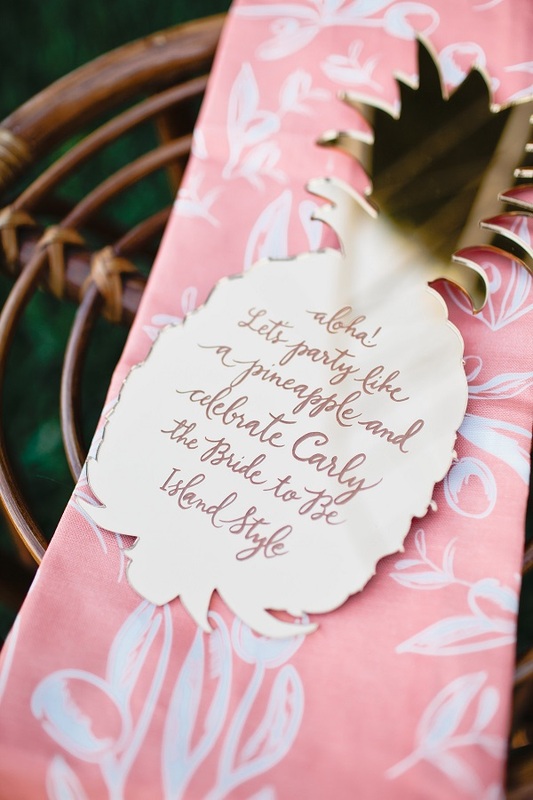 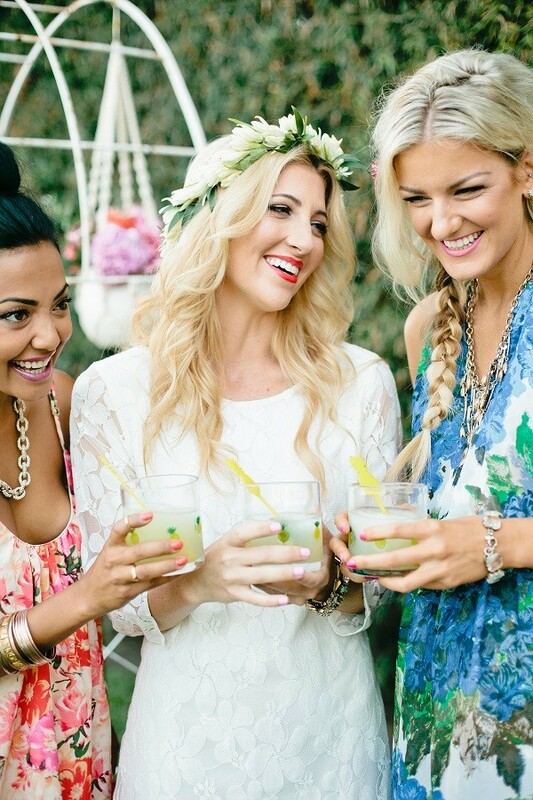 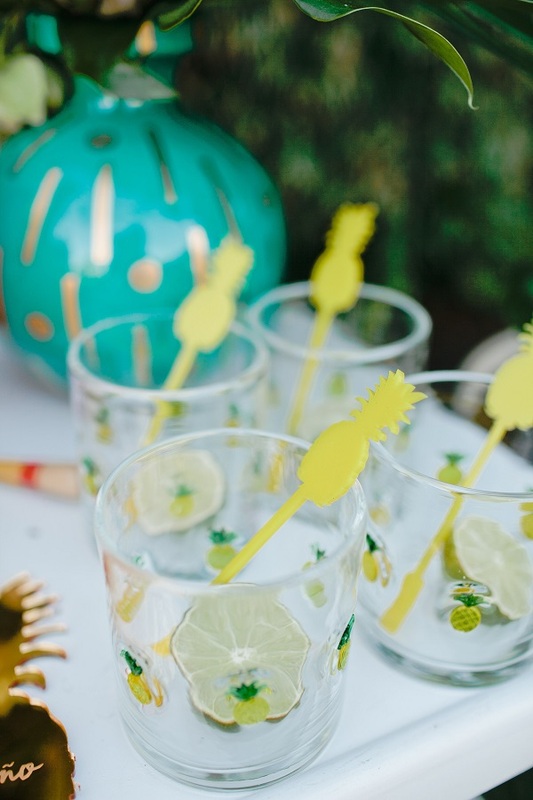 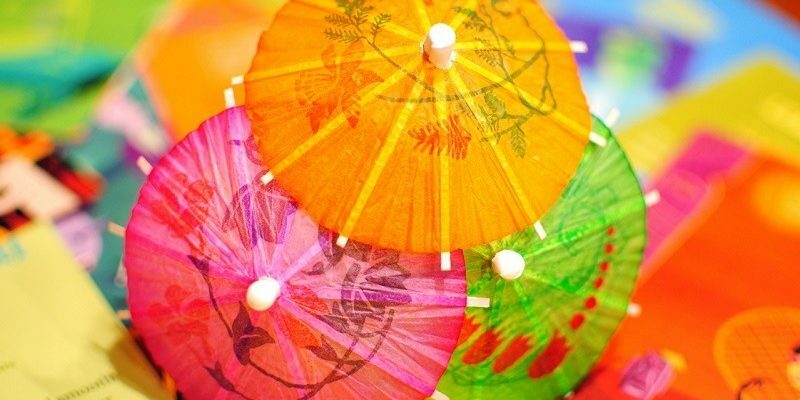 This tropical bridal shower shoot is inspired by pineapples, bright flowers and a trip to Kauai, setting the tone for a fun and colourful celebration. 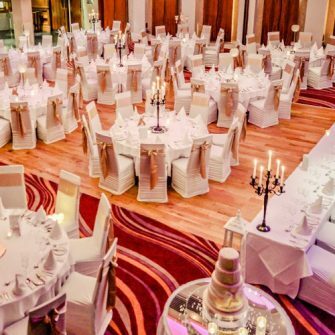 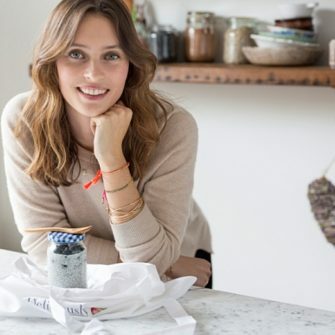 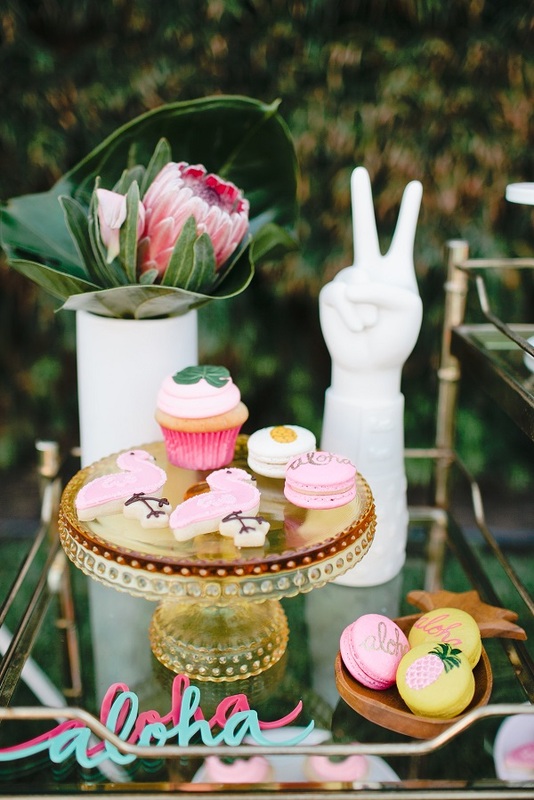 Mix and match eclectic props in pops of colour with beautiful table wear, stunning florals and amazing signage. 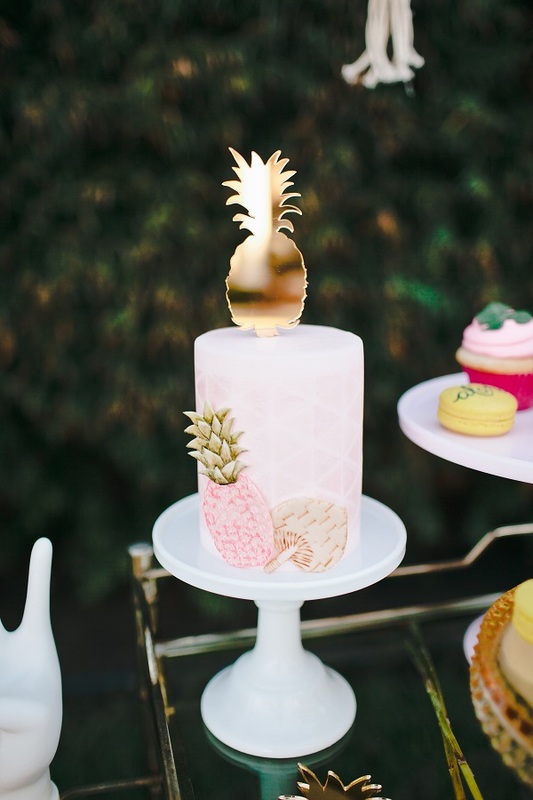 A gold pineapple invitation hints at the party theme which is continued through the drink and dessert signage and even the cake topper! 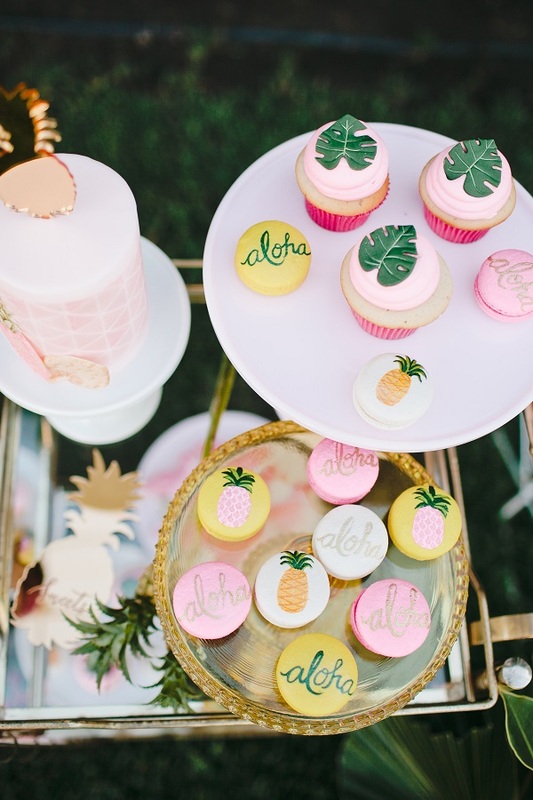 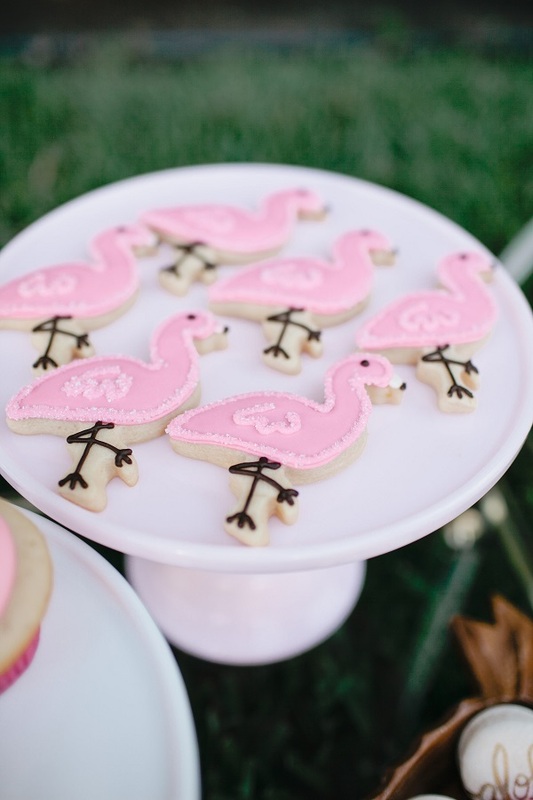 Spoil guests with gorgeous sweet treats … pineapple cake, flamingo cookies, palm cupcakes and to-die-for Aloha macaroons, will blow your guests socks off!